The liver acts as the body’s main factory for breaking down, neutralizing, detoxifying and removing chemicals, poisons, body wastes and unused and undigested food surpluses. It handles about 40% of all of the body’s detoxification work. Filtration – the liver contains cells called Kupffer cells which are phagocytes (white blood cells that protect the body by ingesting (phagocytosing) harmful foreign particles, bacteria, and dead or dying cells). These Kupffer cells filter the blood and eradicate large molecules and pathogenic bacteria and toxins. In a healthy liver, these cells eradicate 99% of bacteria. Bile Secretion – the liver produces bile which binds with toxins, harmful poisons and wastes (including those removed via step 1 filtration and step 3 enzymatic pathways) and removes them from the body via the intestines in feces. Inadequate fibre causes the process to slow down causing many toxins to be reabsorbed in the intestines. Enzymatic Pathways – the liver disassembles toxins via a two-step process known as Phase 1 and Phase 2 detoxification. Phase 1 – a group of enzymes called cytochrome P450 either directly disassemble toxins, convert toxins to water-soluble substances which can be eliminated via urine, convert toxins to less toxic chemicals for removal, or convert toxins to activated intermediaries for Phase 2 conjugation. There are many ways to support the liver in its detox role. Keep the blood and organs well hydrated with lots of water. Avoid harmful substances, sugars, alcohol, high protein diets, coffee, saturated fat, and smoking. Support the Phase 1 detoxification pathways with lots of brassicas (cabbage, broccoli, Bussels sprouts, kale, rapini, collards), oranges, and tangerines. Support the Phase 2 detoxification pathways with brassicas, legumes, oatmeal, oranges, lemons, tangerines, whole grains, green tea, red peppers, fresh berries, and omega 3 fish oils. Supplement with milk thistle, magnesium, B complex vitamins, selenium, and zinc. I realize I’ve given a lot of information. These Phase 1 and 2 pathways need to work together, if the Phase 1 works faster than Phase 2, then a backlog of activated intermediaries can occur. These can cause symptoms of fatigue and nausea among others. If you have underactive Phase 1 enzymes, you may be more sensitive to medications than the average person and require smaller dosages, may be hypersensitive to perfumes, paint fumes, easily affected by caffeine and alcohol. Just another indication of the importance of maintaining balance within the body. One of my favourite dinners includes several of the foods suggested above. Remember that you can add Flax seed oil (an omega-3 oil) to replace part of the olive oil in a salad dressing recipe. But never heat it – omega 3 oils cannot take any heat. Heat the olive oil and vegetable stock at medium heat in medium saucepan. Add the onions, garlic and mushrooms until fragrant – 5 minutes. Add the greens and steam until tender and bright green. Put 1 cup of the cooked brown basmati rice in each bowl. Stir in 1 Tbsp of tahini and ½ sheet of crumbled nori. Arrange the steamed vegetables on top, sprinkle with slivered almonds, then drizzle with simple sauce over the vegetables and rice. Put all ingredients in a saucepan. Bring to a boil and simmer for 10 minutes. Remove from heat and serve over the rice. Our body has 11 ways that it cleans itself constantly. These detox pathways are going on all of the time, while we eat, as we sleep – we don’t consciously know that they are working away, but they are. Their efficiency depends on many factors and I’ll describe them in some detail as we learn about them. If you want more detailed information, please let me know and I can help you to find what you need. As we all learned in high school, our blood carries nutrients and oxygen to all parts of the body and carries away cellular waste products. These waste products are delivered to the liver for detoxification and elimination. If the blood becomes ‘sticky’, meaning it has an increased viscosity; it is less able to circulate freely through the small capillaries of the body. This stickiness can lead to the development of disease states because the blood can’t be efficient in either picking up waste, or dropping off food and oxygen. Blood becomes sticky for several reasons: dehydration; the presence of pathogens like fungi, viruses, bacteria, and parasites which cause the blood to become thick through the body’s immune response to them; food sensitivities also cause immune response; heavy metal toxicity and exposure to environmental toxins; stress and trauma can also cause the blood to become thick. Exercise is one way we can keep the heart muscle pumping strongly and blood flowing smoothly. Also make sure to drink lots of water to keep the blood hydrated and thin. With each exhalation, we release toxic gases and end products of cell metabolism. When we breathe slowly and deeply, we aerate a greater volume of the lungs and enhance their cleansing ability. That’s why so many meditation practices include breathing as part of the practice. Often when we feel stressed, our breathing becomes quite shallow using only a small portion of the actual lung capacity. It can be very cleansing and refreshing to actually take ‘breathing breaks’ throughout the day when we consciously take several deep breaths in, hold and then exhale completely. The skin opens its pores and releases water-soluble toxins through perspiration. Sweating is one of the ways that we can eliminate toxins that reside in our fat cells. 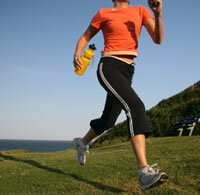 Exercise is critical for healthy skin – but the body must be allowed to perspire. Anti-perspirants block the body’s natural cleansing process and as a result should be avoided. Another method to induce sweating is through using saunas – especially when followed by a cold plunge or shower. It is important to sweat during every season in order to get rid of those toxins. However, it is also important to use a proper cleanser and body wash following any strenuous workout. It doesn’t make any sense to sweat, eliminate toxins, and then use a chemically produced cleanser. Instead, choose all-natural skincare products for use after you sweat. Saliva in your mouth, stomach acid and digestive enzymes in the stomach and pancreas all are responsible for breaking down harmful toxins and pathogens in the same way as they digest food. These digestive organs are the first line of defences for the rest of the body, killing harmful bacteria, fungi, yeast and viruses before they can gain a foothold in our intestinal tracts. Often as we age, or if we are living in a highly stressed environment, we don’t produce enough stomach acid and enzymes to be able to protect our bodies from these pathogens. Another thing that decreases the acidity of our stomachs is taking antacids. Signs and symptoms of low stomach acid include bloating, belching, and flatulence immediately after meals; heartburn (often thought to be caused by too much stomach acid); indigestion, diarrhea, or constipation; undigested food in stools; acne; chronic candida; multiple food allergies; weak, peeling, or cracked fingernails; chronic fatigue – and that’s not all of the signs! You can increase your stomach acidity by eliminating mineral-depleting sugar and sweeteners, eliminating processed foods (white flours and grains – eat whole foods rather than food in boxes), and adding fermented foods and drinks to your diet. Another way to increase your digestive juices is to start your day with lemon juice in water – if you’re sensitive to citrus try bitters 15 to 20 minutes before each meal. That’s four of the 11 – we’ll talk about the liver tomorrow. Bet you can’t wait! This recipe came from Sherri Doak who made it last night and raved about it enough that now I have to make it tonight to see if it’s really as good as she says! Cook the rice in the water and salt per package instructions and set aside. Heat the coconut oil in a medium saucepan over medium heat – add the onions and garlic and cook until fragrant 2-3 minutes. Add in the curry powder and swirl around in the oil another minute. Add the beans and greens and cook until heated through – about 5 minutes. Add in the coconut milk to make a creamy sauce – and just heat through again. Serve over the rice with a mango salad. I’m looking forward to tasting this! Day 13 – Why consider a Spring Detox? I met a really interesting couple at The Crow’s Nest last night (yes, I’m predictable – on Sundays we have supper out so that’s why there’s no Day 12) who had lots of questions about the importance of detoxing, so I thought I’d do my blog today on why a spring detox is a healthful practice. Toxins are substances that are harmful to our health. There are two main categories: Exotoxins – toxins which enter into our bodies from our external environments; and Endotoxins – toxic by-products of internal bodily functions. Exotoxins include such things as xenobiotics (insecticides, herbicides, pesticides, food additives, plastics, drugs, chemicals from cleaning supplies, etc. ), toxic metals (lead, cadmium, mercury, aluminum, arsenic in our water, fish, lead pipes, paint, pots and other sources), organic toxins (aflatoxin, penicillium toxins on our food), vitamin and mineral excesses, infections, lifestyle toxins (caffeine, sugar, alcohol, smoking), inhalents (mold, algae, pollens), food sensitivities (gluten, dairy, nightshades), and energetic toxins (electromagnetic fields, ionizing radiation, geopathic stress). Endotoxins are things like by-products/waste products of intestinal bacteria and fungi, intermediary metabolites (lactic acid, urea), hormonal overload (estrogen, progesterone, insulin, cortisol, prolactin), increased free radicals, toxic emotions (excess worry, regret, grief, fear, anger) and toxic memories (loss, embarrassment, shame, violence, abandonment). What happens when we are toxic? When the body is unable to keep up with the break down and elimination of toxic wastes, symptoms of illness can begin to show up. These symptoms may include headaches, joint pain, fatigue, irritability, depression, mental confusion, digestive disturbances, cardiovascular irregulatiries, flu-like symptoms like hives, runny nose, sneezing and coughing. Why detox in the spring? 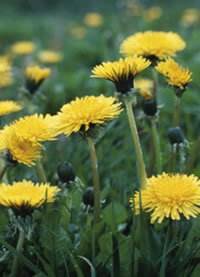 Spring is a time of rebirth and renewal and the perfect time for an annual removal of these toxins from the system. There are many kinds of detoxification strategies that are available. The simplest is for 2-weeks to concentrate on feeding your body with lots of fresh, raw vegetables and fruit (take a break from eating potatoes, tomatoes, sweet and hot peppers, eggplant, tomatillos, tamarios, pepinos, pimentos, paprika, cayenne, and Tabasco sauce which are classified as nightshade foods and can be inflammatory for some individuals – as well as citrus fruits including lemon, lime, oranges, mandarin, grapefruit, as they can be a source of food sensitivities). While you’re enjoying lots of fresh, raw vegetables and fruits, take a break from eating sugars (white, brown, honey, maple syrup, you name it, leave it alone for 2 weeks), gluten-containing grains (white flour, whole wheat flour, spelt, kamut, barley, rye), dairy products (especially milk, and cheese) and all lifestyle toxins (food additives and colourings, caffeine, alcohol, smoking). Do include small amounts of protein each day as the function of proteins in our body is to repair, renew, and improve immune function. However, protein containing foods are generally higher in fat, require cooking, and are harder for the body to digest. Foods that draw energy for digestion interfere with the use of energy for cleansing and rejuvenation, and should be avoided during detoxing. Include in your 2-week detoxification a trip to a spa where you can relax and feel pampered and refreshed. You also might want to consider keeping a journal during this time to keep track of how you feel as your body is given the chance to clean and clear itself. When kale is cut into thin strips, rubbed, and then marinated overnight in a dressing, it has a wonderfully soft and juicy texture that makes it delightful for a salad. This nutritious salad is visually beautiful, and sure to become a staple recipe for your family and friends. When I’m not on a detox, I add 1 tbsp of maple syrup to the dressing. Combine all the above ingredients in a large bowl. Feel free to add some fresh berries to increase the antioxidant properties of the salad. Combine ingredients in a jar, shake and pour over salad. Massage dressing into salad and let sit for at least 30 minutes before serving to let flavors meld and allow the kale to soften. This salad will keep for a couple of days as the kale just softens in the dressing and becomes juicier. 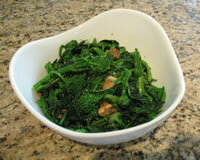 Thanks to Caroline Dupont’s Enlightened Eating for starting me on my love affair with kale.